Hi guys! I'm sorry I didn't post a poll last week, but since last time there was a tie and I had two books to read, I decided to give myself a little bit more time. Unspoken and Every Day were voters' picks and THANK YOU SO MUCH for voting for these - they were both absolutely fabulous! Seriously guys, if you haven't read these two books yet, get on it! NOW!!! You are missing out! I've also read BETA and Who I Kissed, but I didn't get around to reading Mystic City yet. 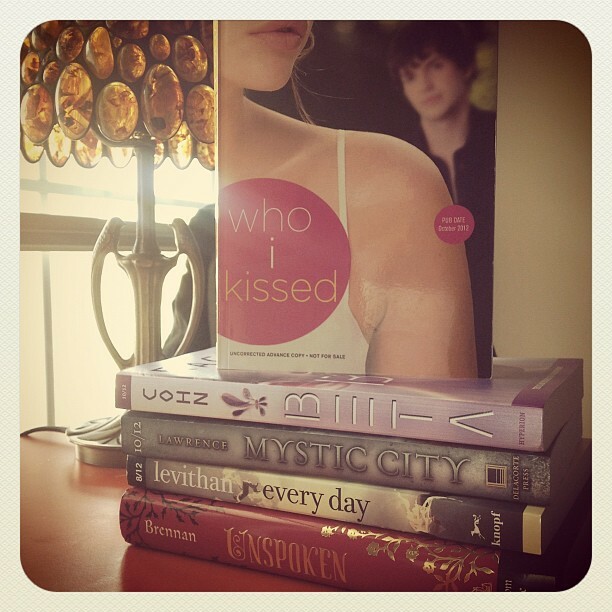 My review of BETA went live on the blog today and my review of Who I Kissed will be up this week! 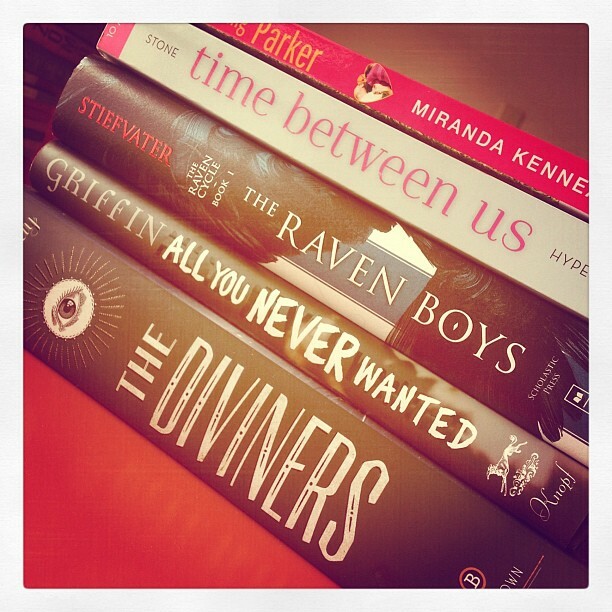 The Raven Boys and The Diviners are both ones I'm really wanting to read. I recently read Stealing Parker too and it was great! I loved Mystic City so I hope you're liking it!